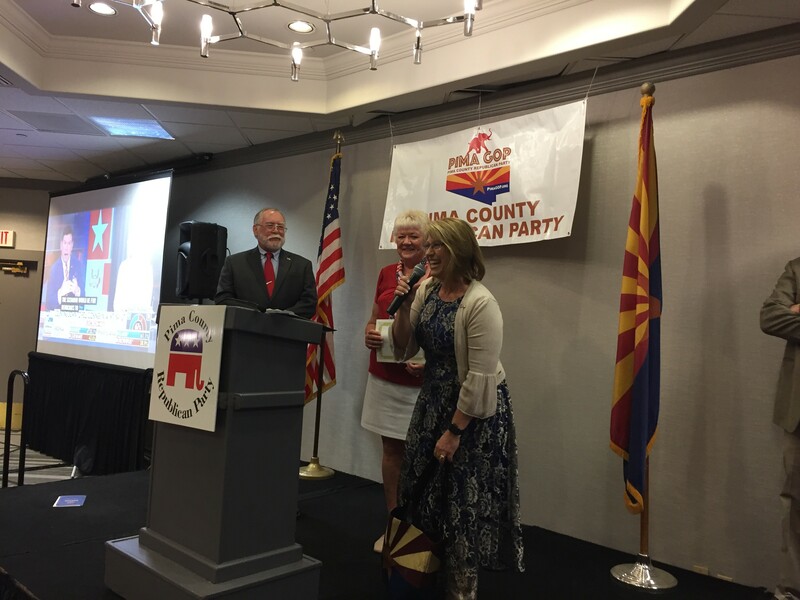 Ana Henderson at the Pima County Republican Party. LD9 House incumbents Randy Friese and Pamela Powers Hannley have steady lead over Ana Henderson, in repeat of 2016 election. Henderson says she's not interested in doing interviews. LD9 Senate candidate Victoria Steel has handy lead on her Republican opponent, a primary candidate write-in, Randy Fleenor. LD 11, on the other hand, looks like it's going to stay red. Republican Vince Leach is leading Democrat Ralph Atchue. House incumbent Mark Finchem and City of Maricopa Constable Bret Roberts are leading Democrat Hollace Lyon although she raised more money than either.